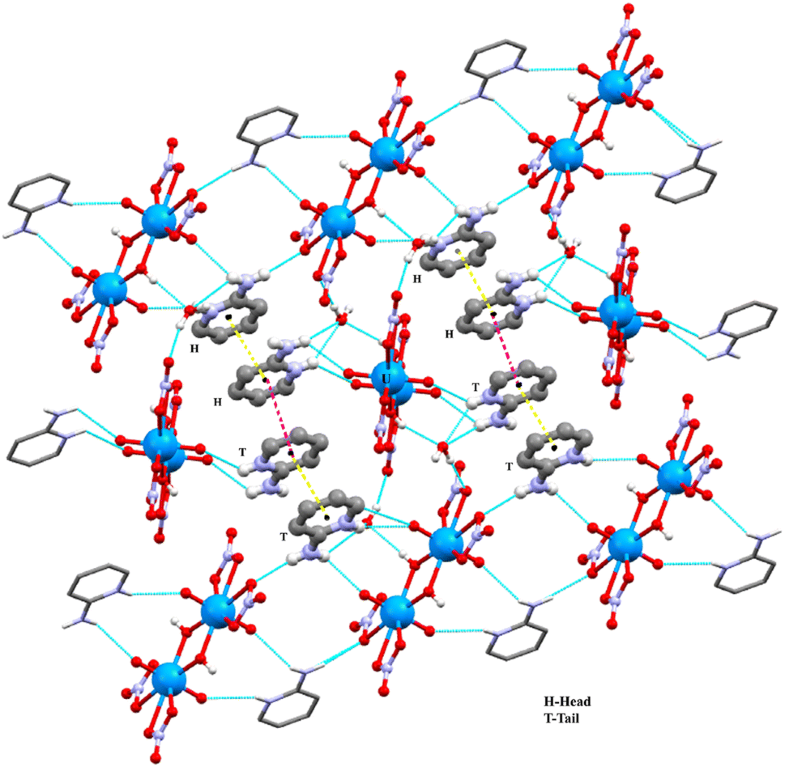 The titled dinuclear uranyl complex, U2O18N4H2·2(C5H7N2) 2(H2O) was crystallised in Monoclinic (C2/c) space group with the cell parameters a = 18.0728(3) b = 10.6896(3) c = 13.9068(3)Å, α = γ = 90.00° β = 103.988(2)°. In the structure, the U(VI) atom is eight coordinated with slightly distorted hexagonal bipyramidal geometry around the U(VI) ion. Two oxide ligands in the axial positions and four oxygen atoms from two bidentate nitrate ligands and two oxygen atoms from two hydroxy groups in the equatorial plane form the coordination sphere around the uranium atom. The two hydroxy groups act as bridging ligands between the uranyl ions generating a dinuclear unit having an inversion centre. 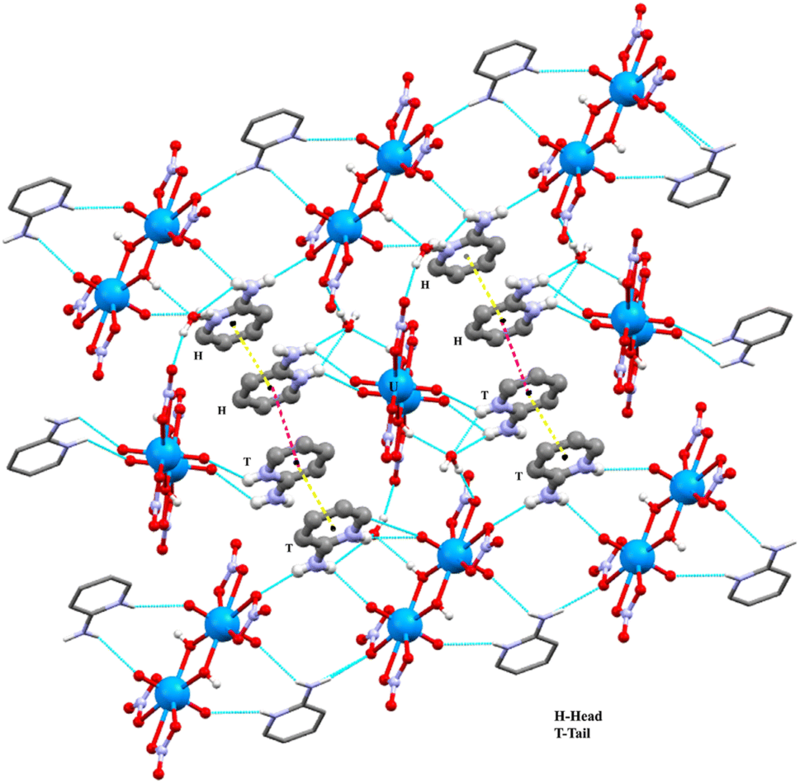 The coordinated and non coordinated nitrate O atoms, axial uranyl O atoms, bridged hydroxy O atom, the non coordinated 2-aminopyridinium ion and the lattice water molecule play a vital role in assembling the three-dimensional structure via an extensive network of intermolecular O–H···O, N–H···O and C–H···O hydrogen bonds and aromatic π–π stacking interaction. The U(VI) atom is eight coordinated with slightly distorted hexagonal bipyramidal geometry. The three-dimensional structure is built through extensive network of intermolecular O–H···O, N–H···O, C–H···O hydrogen bonds and aromatic π–π stacking interaction. 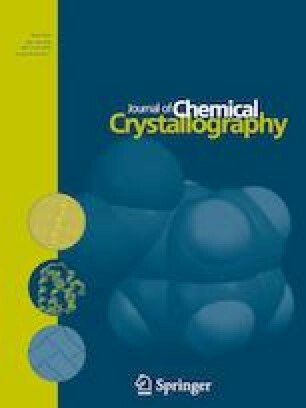 The online version of this article ( https://doi.org/10.1007/s10870-019-00777-6) contains supplementary material, which is available to authorized users. SG thanks the University Grants Commission- Basic Scientific Research (UGC-BSR), India, for the award of RFSMS. The authors also thank the Department of Science and Technology (DST)-India (F.I.S.T programme) for the use of Bruker SMART APEX II diffractometer and Bruker Advance 400 (400 MHz) NMR spectrometer at the School of Chemistry, Bharathidasan University, Tiruchirappalli, Tamilnadu, India. PTM thanks UGC, New Delhi, for a UGC Emeritus fellowship.